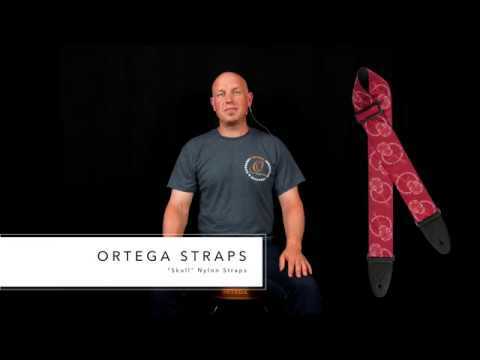 NYLON GUITAR STRAP - EXTRA WIDE "SKULLS"
The Ortega „SKULL“ Guitar Strap is made from a durable, strong and smooth nylon material. The extra wide 2,25“ (65 mm) nylon provides maximum comfort. The strap is adjustable from appx. 33,8“ (858 mm) up to appx. 57,5“ (1460 mm). The strong but flexible leather ends fit all types of strap pins. Available in three colors: charcoal,black and burgundy red.